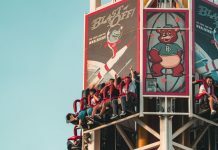 As a budget traveller, I often seek out the cheapest deals for my travels, which means I usually take a lot of low cost carrier flights. While this works out for short haul flights to nearby places, longer haul budget flights from Singapore are infrequent, and to limited destinations. 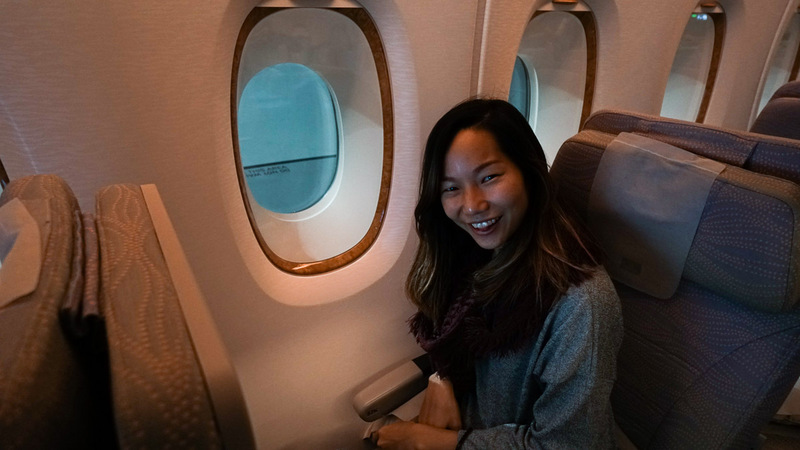 During our recent bucket list trips to Dubai and Norway in winter (❤️), we got a chance to take Emirates’ Economy Class on both the Airbus 380 (A380) and Boeing 777 (B777), and were pleasantly surprised at how value for money everything was. Here’s a quick review of our experience! My initial thoughts of flying with Emirates is that the flights are going to be crazy expensive given its image as a premium airline. I mean it’s hard not to think that way with their out of the world Business Class and First Class options. While flight costs are dependent on many factors like travel period and demand, we were surprised that our flights to Norway costs only about SGD1162, which was only slightly more than the cheapest airlines. If you’re after the cheapest possible way of flying, this isn’t it. 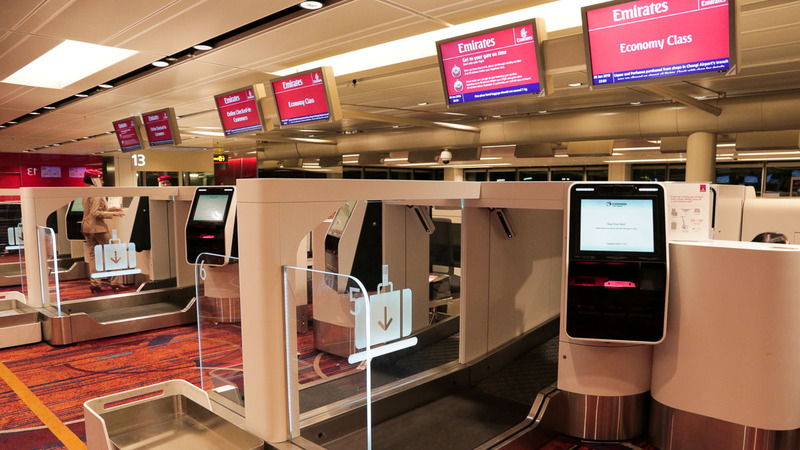 But if you’re after a value for money experience, flying via Emirates is probably your best bet. 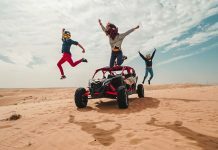 Given that we also wanted a pre-trip trip (what a mouthful) on a stopover in Dubai, this was perfect. 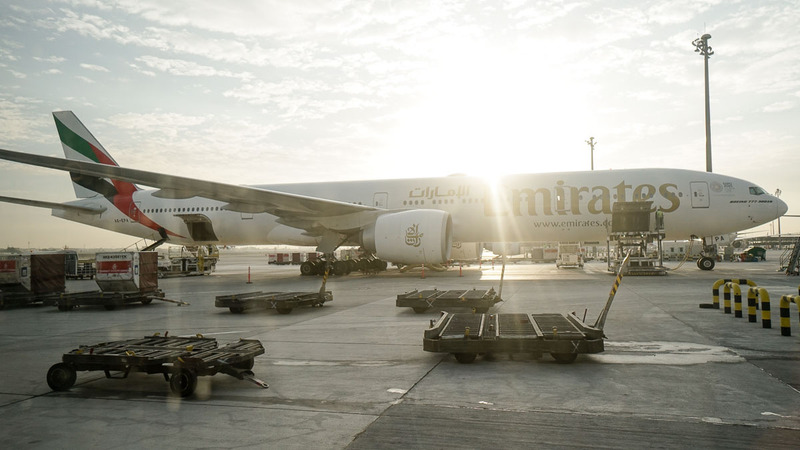 It was also comfortable to break the long journey over two legs — with a 7.5 hour flight to experience Dubai for 48 hours, before a 6 hour flight to Norway. 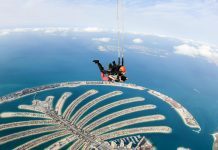 For trips to Europe and beyond, Dubai is a great gateway (they fly to 159 destinations in 85 countries and territories). The flight timings were good as well, with options for those preferring day flights or red eye flights. At the point of writing, I did a quick search to check that flight prices can be replicated based on our itinerary of spending 48hrs in Dubai before exploring Norway. Here’s a screenshot! Given that we were travelling to Norway in winter with a stopover in Dubai, you can imagine the amount of clothes we had to pack! Other than the bulky winter wear and normal travel clothes, we also had quite a bit of tech gear for filming. So it was awesome that Emirates’ has a generous 30kg baggage allowance for all their Economy Class passengers. Spacious! 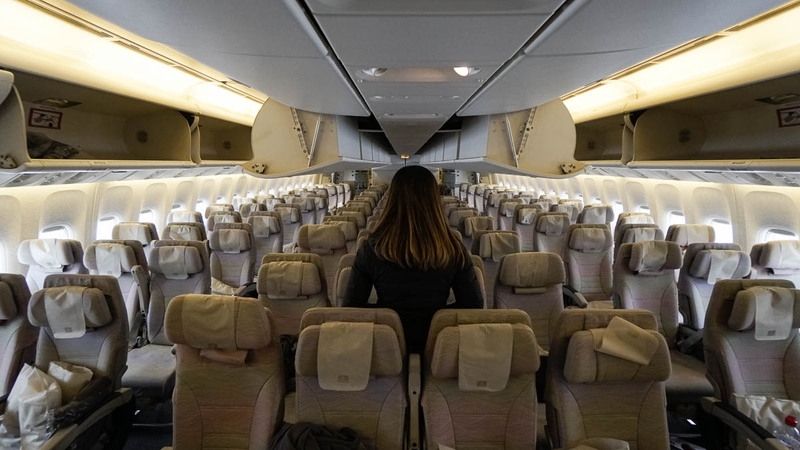 The configuration is generally similar on both the wide bodied A380 and B777, with 10 seats per row (3 seats – aisle – 4 seats – aisle – 3 seats). 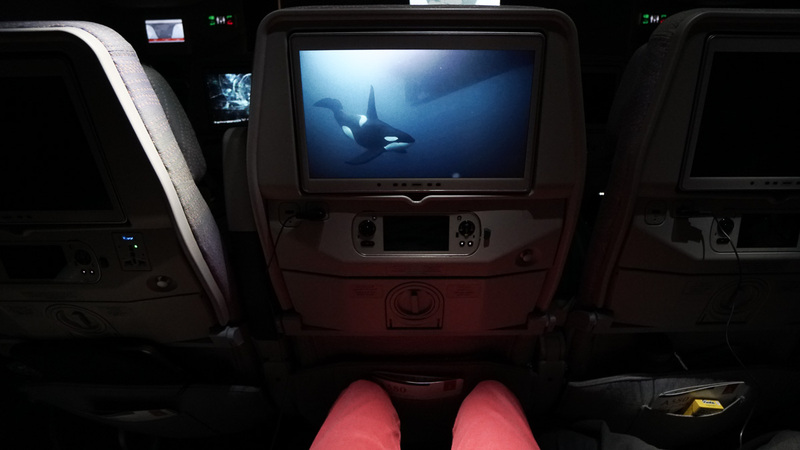 Of course the A380 is slightly better, but the seats on both aircraft were comfortable. I have pretty long legs for an Asian person, and found the legroom to be more than sufficient! Here comes my favourite part. 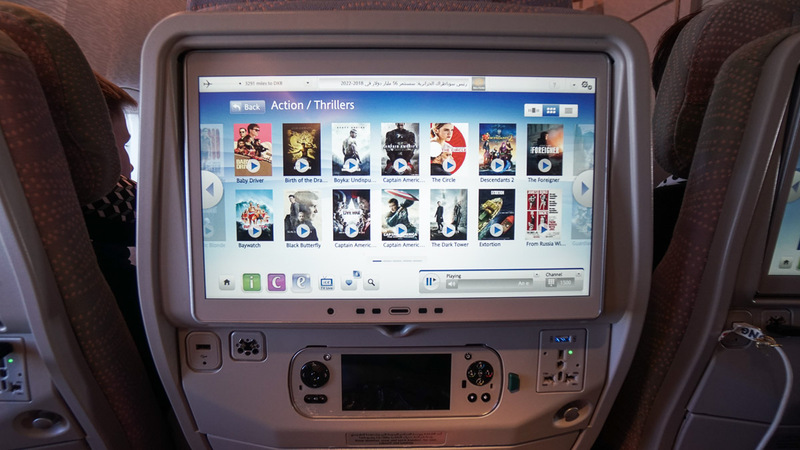 After taking dozens of airlines, Emirates by far has the best inflight entertainment system I’ve ever experienced. What stood out immediately was the ice Digital Widescreens that almost filled the headrest of the seat in front of me. The entertainment panel also had USB ports and some had charging points, which was invaluable when working on my laptop. 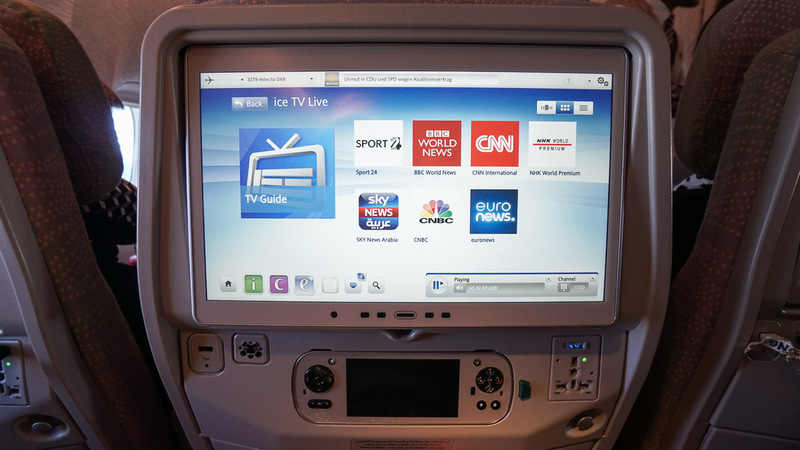 Hardware aside, the award-winning ice inflight entertainment system has an insane selection of content. I read that they had over 3000 channels of multicultural entertainment, but that number only hit me when I was surfing endlessly, deciding which programmes to watch. The usual blockbusters and TV shows are all there, but I especially loved how they brought in documentaries like BBC’s Blue Planet II plus LinkedIn and UTalk learning/language courses. Talk about being productive on a flight! Plenty of legroom. With the widescreen TV it was almost like having your own mini theatre. The music selection was also up to date with the latest billboard hits, and I found myself playing games on an inflight entertainment system for the first time. The most amazing thing though, was that one of our flights had live TV streaming, and I caught some football highlights from the weekend’s EPL matches. 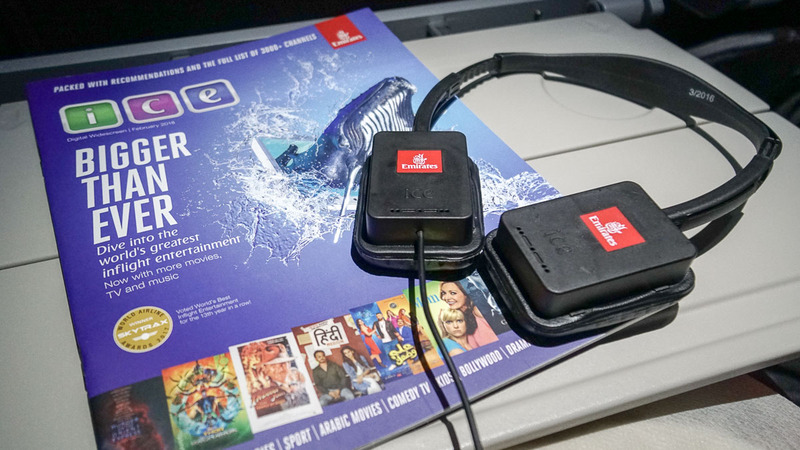 Of note are the special headsets that sounds great and reduces ambient noise. This was especially useful when I was trying to sleep while listening to a meditation track on the ice entertainment system. All Economy Class passengers also get 20MB of free Wi-Fi within the first two hours of log in. It’s a nice touch, but 20MB isn’t much considering the amount of data I use in my day-to-day life. But it is enough for sending text messages, posting quick updates on Facebook or Instagram, and checking light emails. Thankfully there’s the ice inflight entertainment system! What’s special is that you get to choose regionally-inspired meals made with locally sourced ingredients. On our flight to Dubai, we had the choice of having a middle eastern Persian-style braised lamb with buttered orzo and sautéed vegetables. 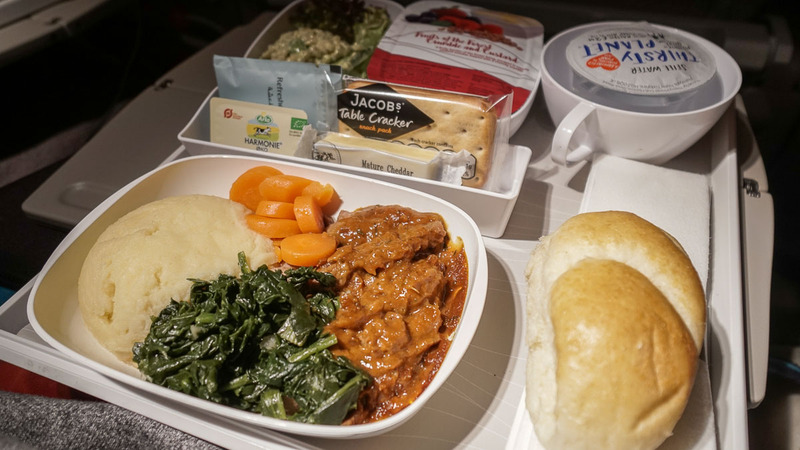 To Oslo, it was all western with BBQ chicken or slow braised beef with mash. 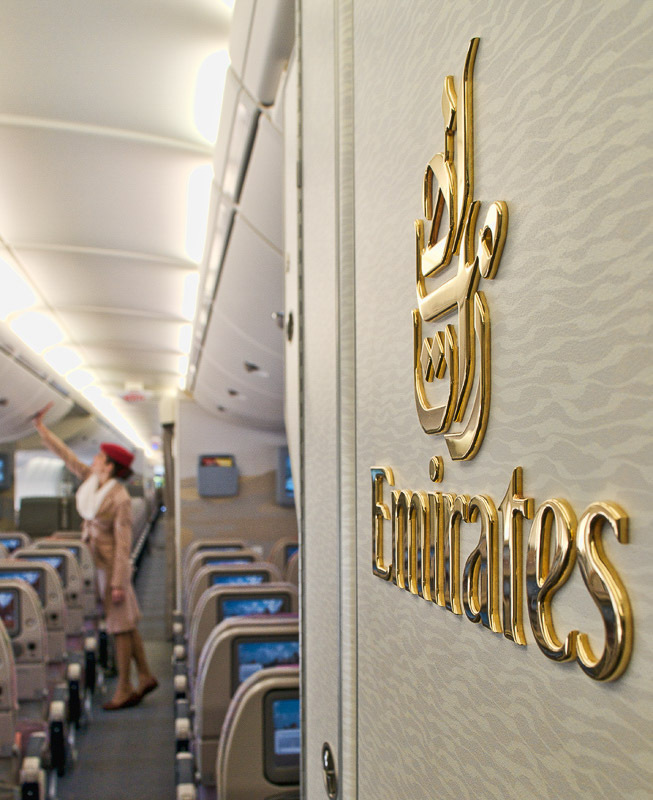 You can even check out your menu ahead of time on the Emirates website. 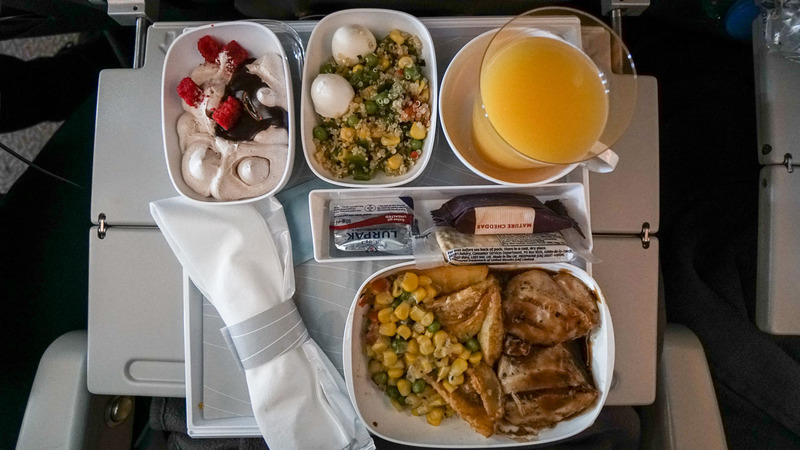 While it might be a stretch to say the inflight dining is a “must-try”, the food was consistently pleasant during our four flights. 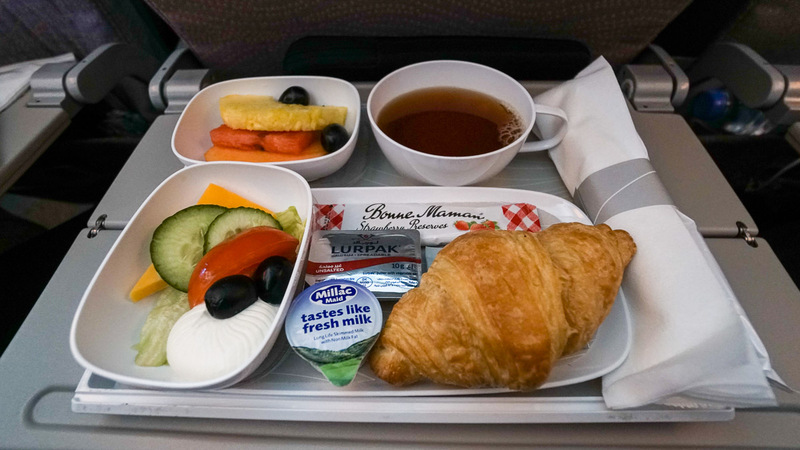 It’s been awhile since I took an Emirates flight, and overall I was pretty impressed at how value for money everything was. 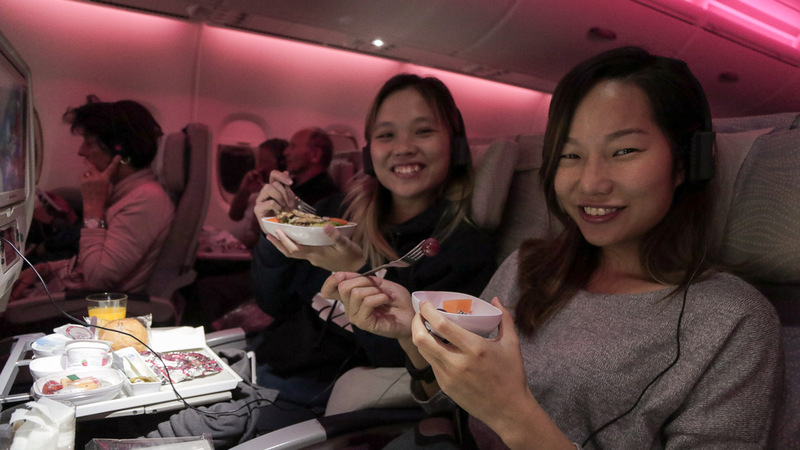 From the thoughtfulness of the interior wooden finishes on the windows and toilet, to the award winning ice inflight entertainment system, it felt like we were getting a lot more value than what you paid for. 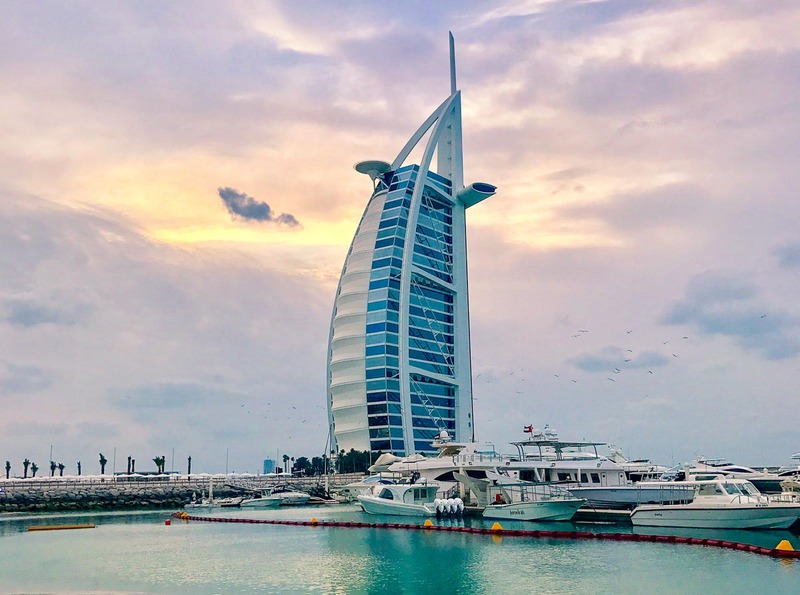 Disclosure: While we were on a trip organised by Emirates to Dubai, the thoughts and reflections are representative of the views of the author. Follow us on Facebook, Instagram, and YouTube for more travel inspirations! Founder of @TheTravelIntern. Leaving his full-time job to travel, Hendric is also an outdoor enthusiast, entrepreneur, creative, occasional dancer, and human. Join him on his adventures on IG @Pohtecktoes. 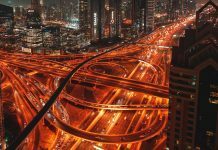 Hello, im travelling from beijing to Mauritius (Transit Dubai) via emirates on the 17th August 2018. Its written on the ticket Class Y. Can u tell me pls how many baggages are allowed, Is it 2 x 23kg + 1handbag 7kg? Please let me know as soon as possible. Cabin luggages should not be more than 7kg. So in total plus check-in luggage you have about 35kg + 7kg.